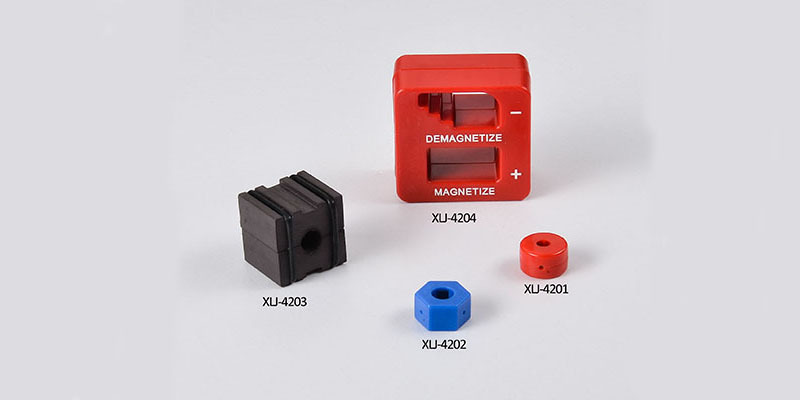 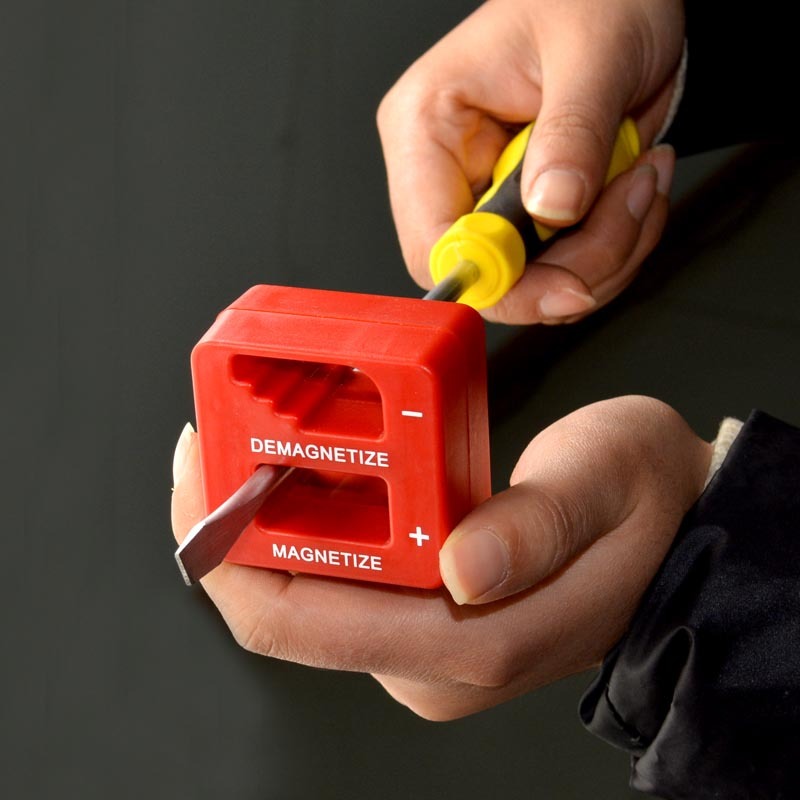 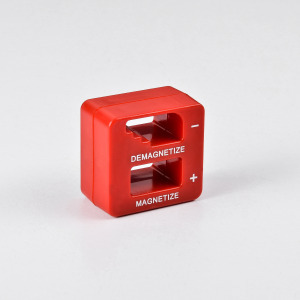 Magnetizes or demagnetizes most steel screwdrivers or other small tools. 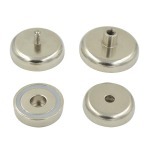 Collects metal items from inaccessible places. 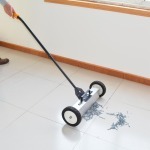 Allows easy and precise handling in confined spaces.